Prowse, Ross Fox, Suzanne Greenwood, Patrick McArdle and Loretta Wholley. 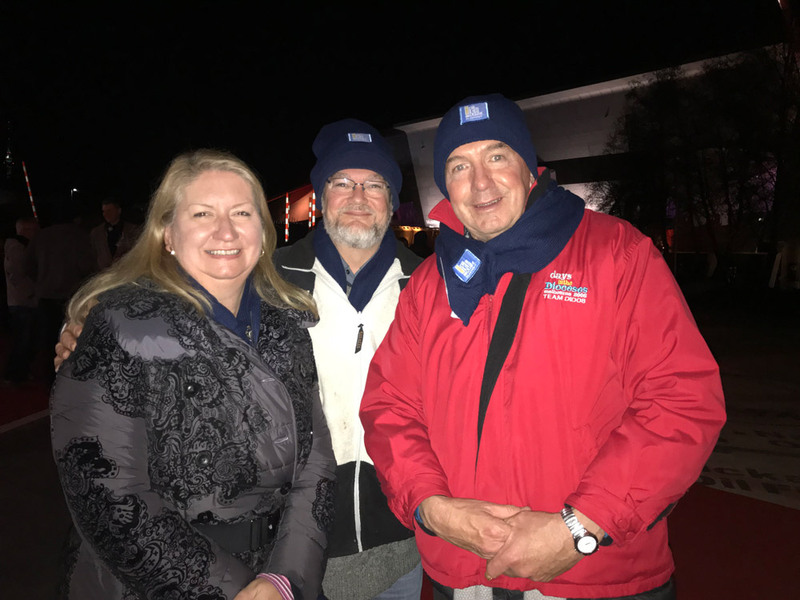 ONE HUNDRED AND FORTY of Canberra’s business and community leaders have together raised over $585,000 for homelessness by sleeping out in the Garden of Australian Dreams at the National Museum of Australia on night. 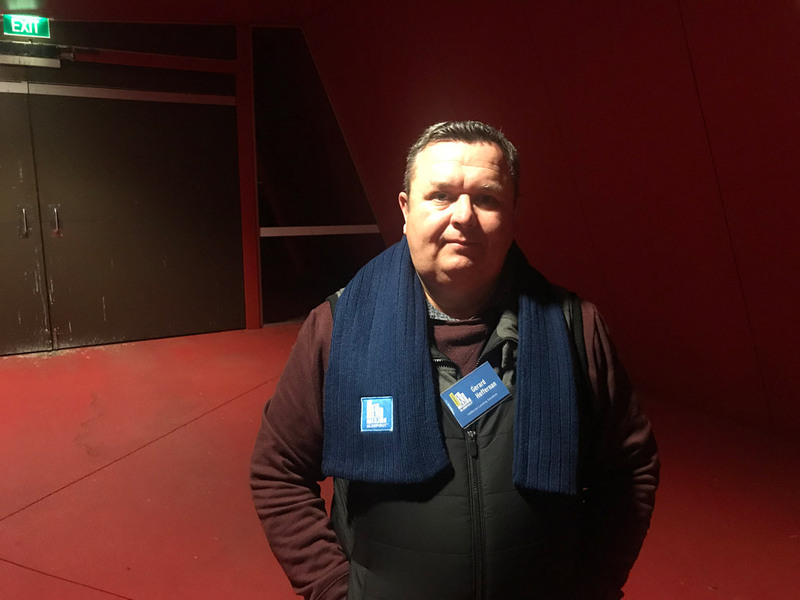 This is the largest sum ever raised by the Canberra CEO Sleepout. 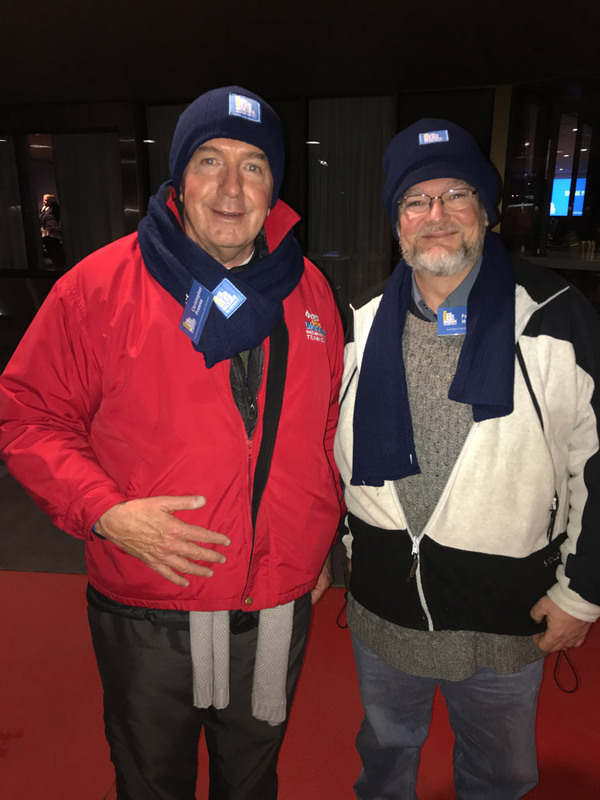 Temperatures dropped below freezing, and CEOs experienced the difficulties of sleeping outside with only three sheets of cardboard and a sleeping bag to protect them from the elements. The highest fundraiser of the night was Nick McDonald Crowley, Projector Director at Capital Estate Developments, who had raised $32,469 at the time and was rewarded with a pillow to help him get through the night. He had been challenged to do the Sleepout in a Pink Panther onesie, and in doing so earned a $5000 donation from a friend. Archbishop Christopher Prowse braved the elements as did and Catholic Healthcare Australia CEO Suzanne Greenwood and Marymead CEO Camilla Rowland. Leading the charge from Catholic Education was CEO Ross Fox. 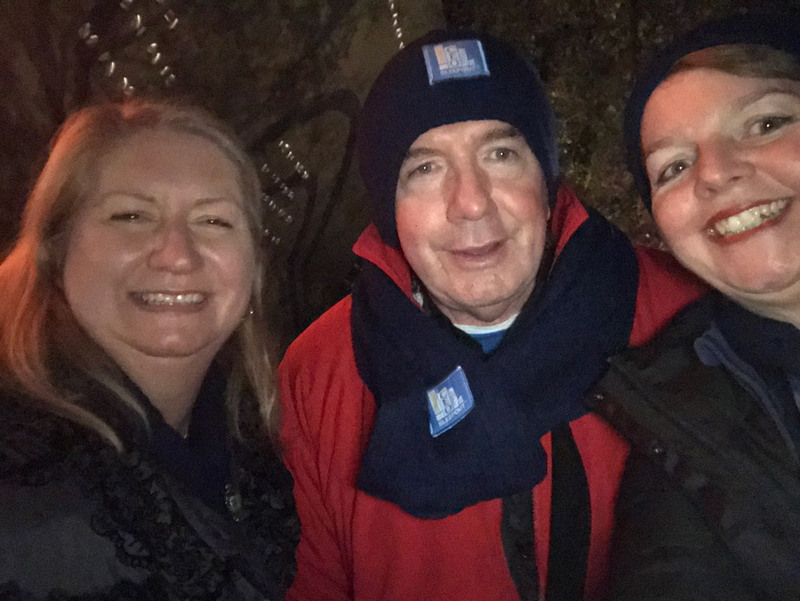 He was ably joined at the Sleepout by college principal’s Brad Cooney (St Clare’s College), Loretta Wholley (Merici College) and Catherine Rey (St John Paul II College). In Nicholls ACT, 150 students from St John Paul College also got in on the act sleeping out in the elements to play their part in eradicating homelessness. 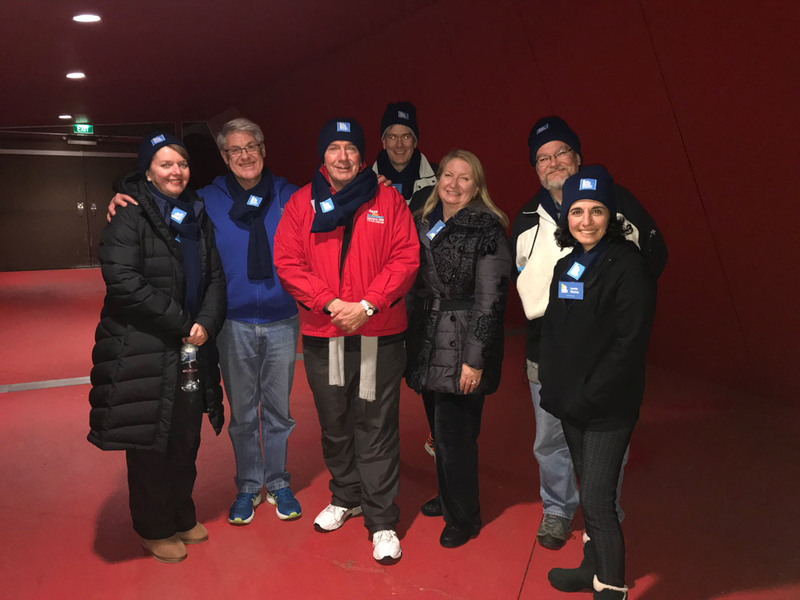 “Students from the Social Justice committee were inspired to become involved five years ago when I first put my hand up to sleep out as a CEO,” Ms Rey said. “Once they learned more about homelessness, particularly in the ACT, they were determined to do something to assist. Along with experiencing a night sleeping rough, CEOs also engaged in a workshop run by PwC aimed at providing tangible outcomes for supporting those at risk in our community, and heard from guest speakers; 2018 ACT Volunteer of the Year Natalie Wright, and 2018 ACT Young Australian of the Year, Zack Bryers. 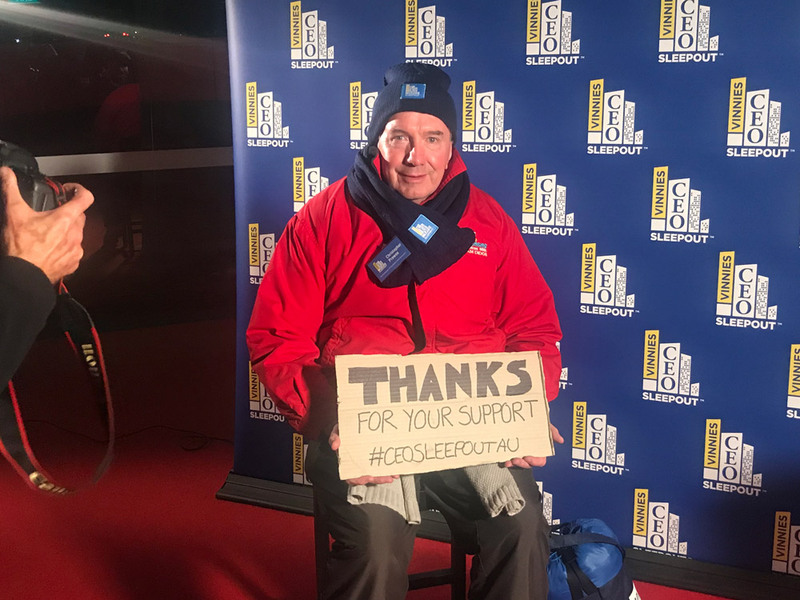 The funds raised from the CEO Sleepout go directly to Vinnies Canberra/Goulburn programs that support people at risk of, or experiencing, homelessness. These include the Night Patrol Vans, St Nick’s Young Carers Program and Clemente – a free university program. It’s not too late to donate – fundraising will continue until the end of August when a final tally will be revealed.